The General Store is ONLY available for online purchases, and is also open at Camp on the first and last days of each session. The online General Store features new and exciting products that have been added to our collection. 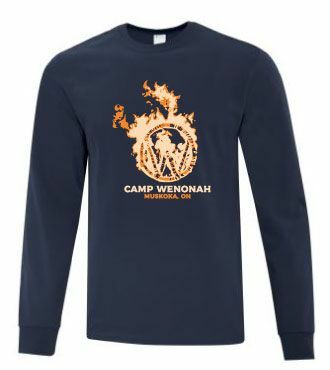 Looking to purchase a Camp souvenir? Visit us online, or you can purchase on the first or last day of your camper’s session. What about tuck at Camp? There are no more tuck days at Camp. Families do not need to add money to their camper’s tuck account. Instead, chocolate bars, chips, and other items are some of the daily snack items that campers may have. If you have questions about the General Store, please contact Director of Operations Fraser “Tito” McOuat at tito@campwenonah.com.